Hi, this is Natalie Hampton with “GradPack Talks,” a podcast that focuses on resources available to graduate students at NC State University. 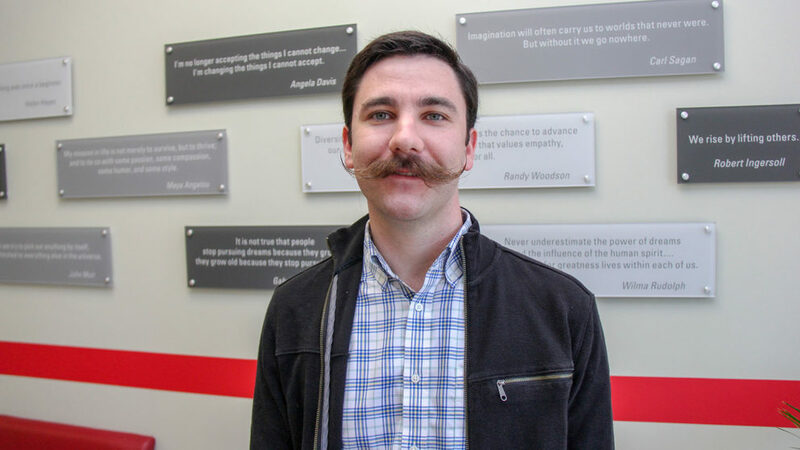 Today, I’m talking with James Withrow, a Ph.D. student and president of NC State’s Graduate Student Association. Natalie: James, tell me a little about GSA, and how can new graduate students get involved with the organization? James Withrow: Sure. So GSA is an umbrella organization that represents the entire graduate student body here at NC State, so all grad students are automatically members of the GSA. But the GSA is itself made up of constituent program GSAs for the different academic programs. 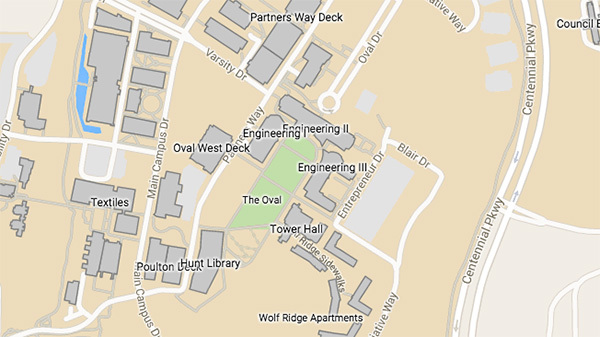 So that’s probably the first place that new graduate students would get involved — at their program or department level. And then they could potentially become a representative from that group to our umbrella GSA, through the All Council reps. And there are also opportunities through GSA – you can be involved University Standing Committees that need grad student members to represent student interests. Or also kind of, in parallel through the Student Government Organization, there’s grad student representation there, both in the senate and in the executive department. Natalie: Well thanks James. Tell me, what types of social activities does GSA offer for graduate students? James: We have a number of social activities throughout the year that are targeted for all graduate students. One is our annual trivia tournament – that’s probably my favorite – where we go to a local bar that’s doing trivia and have the different GSAs field teams to compete against each other. We also have an event coming up in November where we’ll go ice skating, and that’s always fun. And then our big spring event is our spring formal, where we’ll rent out a place downtown, bring in catering and have a great time to kind of relax with grad students from across the university. But then one other thing that we do is that we have some funding through our chapter rebates that we fund the program GSAs, and they are able to do a lot of the social events at that level. Natalie: Tell me how does GSA support the academic side of graduate student life? James: One of the big things that we’re really proud of are our travel grants. So we have both in the spring and fall semester travel awards that students can apply for with up to $1,500 and a bunch more at up to $500 each. We also have an annual Research Symposium where we can present our research and have an opportunity to show off what we’re doing. And then we also recognize teaching. So we have Excellence in Graduate Teaching Awards that are for both classroom teaching and lab teaching. Natalie: And I believe the Graduate School co-sponsors the Research Symposium with you all. Natalie: I’ve heard some students say that they believe GSA is a great place to develop leadership skills. Would you agree and can you kind of describe how that would work? James: Yeah, absolutely. That can kind of take place at a whole lot of levels. The first one is where people would probably get involve is within their GSA chapter, becoming a chapter leader there. But they might become an All-Council Rep and go from their GSA chapter to our big overall GSA. Then we have committees within GSA. You can become a committee chair and work on special projects and things like that. Then there’s the Exec Board leaders – we have the president and seven other executives that make up the Exec Board. So kind of all across the board from your program on up to representing at universitywide issues, or even sometimes outside the university. Like we’re currently working on a legislative action day in downtown Raleigh with the state legislature, advocating for graduate student issues statewide. Natalie: Right, that’s so important. Thank you, James, for the information on GSA. I have one final question – what is your favorite thing about being a graduate student at NC State? James: Sure, so I’ve got two things really. So my first that this is just such a large and diverse university where we have lots of top-notch research going on. 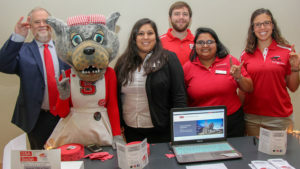 Being able to meet students from different backgrounds who are doing really cool research in lots of different areas, but we all have kind of a common thread as grad students here at NC State. And the other thing is I like that we’re in kind of a cool city in Raleigh; it’s a nice town, so that’s always a plus for a lot of big universities. Natalie: Well, thank you James, for sharing information about the Graduate Student Association. And you can find out more about the GSA at gsa (dot) ncsu (dot) edu.